Ask any company or businessman about what is the most troubling or complex thing about running his or her business, and there is a high percentage of chance that it will be people (aka employees) and positive drug tests. By people and employees we mean the workforce, the human resource that the company depends on. Unlike machines, human beings are complex and have complex needs that need to be met. Even though they are much smarter than any machine, they often act in ways that seem irrational and may cause irreparable damage to not just the company but even themselves. These threats make it necessary for companies to be very rigorous in selecting the correct personnel for their workforce. They must make sure to the highest possible degree that their employees are the perfect examples of human beings that will not end up harming the company or themselves. The modern world is a legal minefield for all companies with laws geared towards the benefit of the citizens rather than the companies themselves. Any incident involving the company can also land it in a public relations disaster that will tarnish its long developed image leading to huge, long term losses which is arguably a bigger worry than any legal tussle. Pre-employment and post-employment drug tests are a commonly used tool that many companies employ to select candidates. The law doesn’t say that employers have to test their workers for drug use. But many of them do find conducting these tests to be very helpful. Drug use cases are much less frequent in those companies with mandatory drug testing than those with no drug testing. In the US, since the passing of the Drug Free Workplace Act in 1988, all companies that work under a federal grant or are employed under a federal contract must conduct drug tests on their employees. Moreover, there are companies which work in sensitive areas like those related to transport and public safety while others that are heavily regulated by the government. For such companies it is a necessity that their employees are drug free at all times and do not have a history of drug use. But drug use in the modern world is a part of the bitter yet undeniable reality. Drug use levels in the US have reached unprecedented levels in 2017. And the job market is an area that can bring in a new perspective. Any foyer or waiting area for a job interview would have been witness for a situation where many applicants left on the mention of a drug test being involved. Many candidates simply don’t show up for their drug test appointments. According to a survey conducted by the National Survey on Drug Use and Health in 2015, approximately 27.1 million people had indulged in illegal drug abuse in the past month. Marijuana use has gone up to 19.5 million users in 2013 from 14.5 in the year 2007. This number has only gone up since the legalization of marijuana use in certain states. However, drug use has seen slightly lowered or plateaued for many different drugs like cocaine and methamphetamine. Opioid addiction related to prescription drugs has also raised a lot of concern in the recent years and it is a current epidemic in 2017. However the job seeking crowd is arguably more inclined towards recreational drug use which may not fall into serious drug abuse problems as defined under the federal government definitions. Does this hide a more serious problem? While most companies would argue that such tests are not done with the intent of invasion of privacy, they indeed open a window in front of our loved ones and show us many unnoticed aspects. Quest Diagnostics, a workplace industry leading drug test company in a recent report stated that number of positive drug tests in drug tests in 2016 have reached their highest levels in the past 12 years! These results reflect this state across all spectrums, i.e. across all types of drugs across all populations. They found the rate of positive tests to be around 4.2 percent for the whole country. This means that 420,000 workers out of the workforce of 10 million, which is not a small number by any measure. Another interesting case presented itself recently when the FBI had to hire internet security professionals for their workforce. This became a very difficult task when it was found that very few candidates selected actually passed the mandatory drug tests with most being positive for marijuana use, a drug that they might have to fight against if they were employed by the FBI. This also represents a large population that cannot be employed which could have dire consequences for the economy. And do remember that these numbers do not include the many people who never showed up for their drug tests or never attended their appointments. This also means that companies have a hard time trying to find the workforce necessary for their operations, especially positions lower down the food chain like drivers and servers. Does this mean that companies are facing laws that are too prohibitive for their operations? Has drug culture so permeated into every aspect of society that our laws need to be modified just to make people employable and keep businesses running? The numbers related to positive drug tests for workplace drug tests are actually at a much lower level than when they were enacted during Reagan’s presidency. And most workers who are looking for jobs are aware of this situation. They do come from societies and backgrounds where drug use is rampant but also realize that in order to fend for their families in today’s highly competitive world, they must stay away from drugs as much as possible. There are many service areas like transport and security that require their workers to be drug free for good reason and cannot afford any kind of lapse in their regulations. And these laws are never going to change. What we may find here after all is that the concern for one’s livelihood and family’s welfare may be the biggest detractor against drug use. Along with efforts like legalization of marijuana in many states and education and rehabilitation programs that focus on reintroduction of addicts into society, they may ultimately lead to a future with lesser, if not a drug free future. 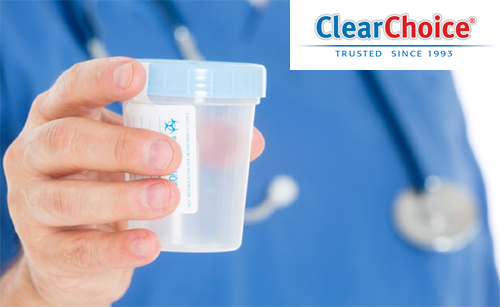 If you’ve made a mistake and have an upcoming drug test that you’ll test positive for, the famous #1 selling Clear Choice products can help. The Clear Choice brand is known to be the most effective in the industry today and we maintain an incredible success rate. Not to mention, we’ve been trusted since 1993 and offer a 200% money back guarantee on everything! That is how confident we really are. Take a look at our revolutionary product line to pass a drug test….